Members clubhouse, toilets, timing hut, plentiful parking. Burger van on race days! Shenington is steeped in Karting history. It held its first race meeting way back in Feb 1960 with around five thousand spectators turning up to visit this race meeting! 2 years later it hosted a round of the world karting championships. In the early nineties the track was extended to include the Wilkins corner which was named after one of the long time racers who competed at Shenington for many years. New toilets and the member’s clubhouse were opened in 2004 which are situated close to Café corner. 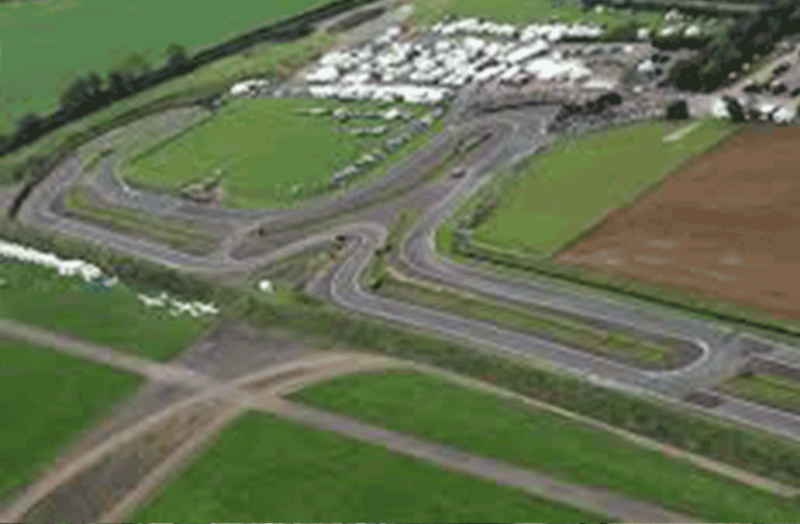 ‘Shenny’ (as it is more commonly known today) is a new addition to the C100 calendar for 2007 and it will host both a Sprint and Endurance race which is bound to attract a lot of attention from those that used to race there and those that enjoy the challenge of a new circuit. There are a couple of possible cut through options for catching up on the roll up laps and these will have to be explored in more detail when we arrive at the circuit. The 2007 races should be wide open because no once will have any prior track knowledge (with the possible exception of those that used to race there in MSA meetings) and its also a very fast track with limited technical corners to learn.